﻿International Day of Commemoration in Memory of the Victims of the Holocaust: Calendar, History, Tweets, Facts, Quotes & Activities. Holocaust Memorial Day is a day commemorating the millions of Jews and minority groups who were murdered by the Nazis during the Holocaust in the 1930s and 40s. The Holocaust, a systematic and state-planned program to kill millions of Jews and other minority groups in Europe, was one of the most horrific genocides in history with an estimated 11 million lives lost. The purpose of the day is to encourage discussion of this difficult subject in order to make sure that it never happens again. In 2005, Holocaust Memorial Day was established by the United Nations General Assembly. January 27, the remembrance date, is significant as it was the date that Auschwitz-Birkenau, the largest and most infamous Nazi extermination camp in Poland, was liberated in 1945. The Holocaust is marked by many different days around the world. 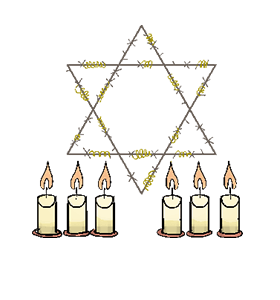 In Israel, the day is known as Yom HaShoah and begins when the sun sets on May 4 and finishes in the evening of May 5. In 2019, the theme for Holocaust Memorial Day is "Torn from Home". Jewish people were excluded from public life on September 15th 1935 when the Nuremberg Laws were issued, stripping German Jews of their citizenship and the right to marry Germans. The mass killings of Jews and undesirables in death camps was referred to as the Final Solution by the Nazis. Visit the largest extermination/concentration camp from the Holocaust. The Auschwitz-Birkenau Museum, located in Poland, allows visitors to see the camp and learn more about the atrocities committed inside. Join social media campaigns that promote awareness of the Holocaust, try tweeting using the hashtag #holocaustmemorial or #remembranceday. Find a HMD activity near you by consulting their website. There are many different workshops and discussions held year round. Or if there are none near you organize an activity yourself to mark HMD in your community. The HMD website has a selection of useful information on how to do this. Watch a movie about the Holocaust. Some popular picks: Schindler's List (1993), Auschwitz (2011), The Boy in Striped Pajamas (2008), Life is Beautiful (1997) and The Pianist (2002).